Practical Magic techniques of the Golden Dawn revealed! Founded in 1888, by legendary magicians Wynn Westcott and S.L. MacGregor Mathers, the Golden Dawn has been a major influence on the development of Western Magic. Although the material which inspired adepts such as Aleister Crowley and W.B Yeats has been available, until now there has been little explanation as to how this group performed its rites of ritual magic. Now at last Pat Zalewski, himself an adept within the Golden Dawn system, has revealed secrets that have never before been published or which were only communicated orally to a handful of select pupils. For years people have known that the Golden Dawn adepts could summon spirits so that they could be seen but no one could explain how they did it. Likewise their techniques of manufacturing and empowering talismans were a closely guarded secret until now. In this book readers will learn the secrets of evocation and how to make Talismans of Power. 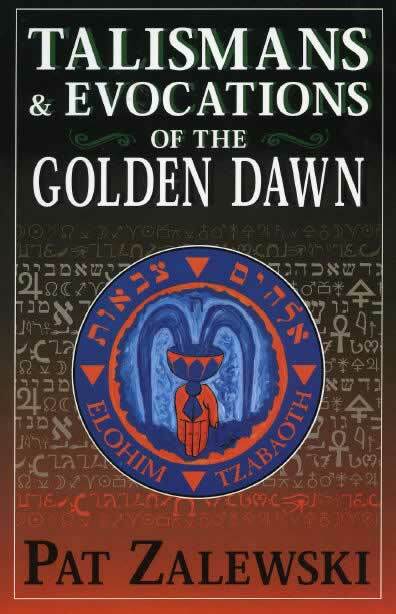 This book is a very valuable tool in the understanding of the practical considerations of Golden Dawn ritual magic at its best. The book is a must for serious Golden Dawn students.